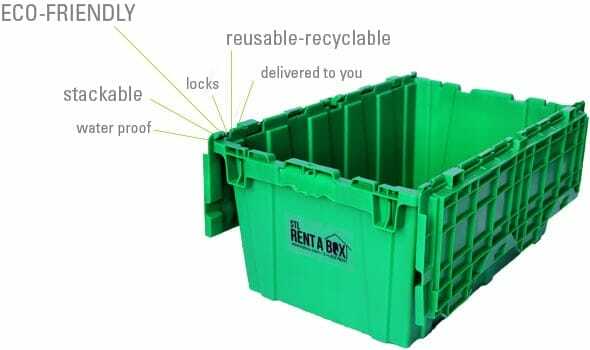 STL Rent A Box is the smart Eco-friendly alternative to cardboard. Our recyclable industrial grade plastic boxes are so simple to pack, lock, carry, and stack. We deliver straight to your door and pick them all up from your new location at no charge! Our boxes are not only the easiest way to move your belongings, it’s the most budget friendly! Every American-Made box is delivered to your doorstep, hand-inspected and sanitized for you. Each box is 27”L x 17”W x 12”H, and designed to be nestable and stackable. They can hold up to 100lbs and are made with very durable plastics, making them weather resistant. The lids are attached and hinged at the sides, so no time will be spent searching or fumbling with them! Nothing to assemble or tape! Just simply pack, and shut the interlocking lids! We also include FREE zip ties to use on the boxes to lock for your extra security while in transit. 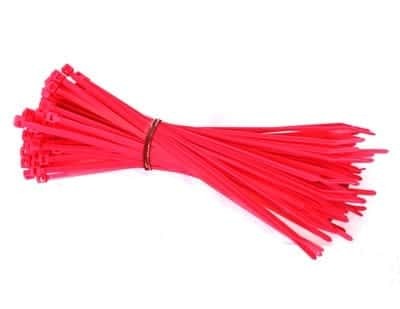 These zip ties will be an undisclosed color so that only you will be accessing your boxes! The boxes have ergonomic handles and are easy to carry. Because the boxes are so easy to carry and stack, it cuts down on time. This is especially a budget saver if you have hired movers. We also include FREE labels to make organizing a snap! STL Rent A Box designed packages to fit your space needs. However, if you require more boxes or time, we will customize your needs. The best part, after you unpack, we pick them all up for FREE! Not to mention, there is zero waste! You’re doing a great thing for you and the Earth all at once, how about that for double tasking! We also offer packaging accessories to assist with your moving.